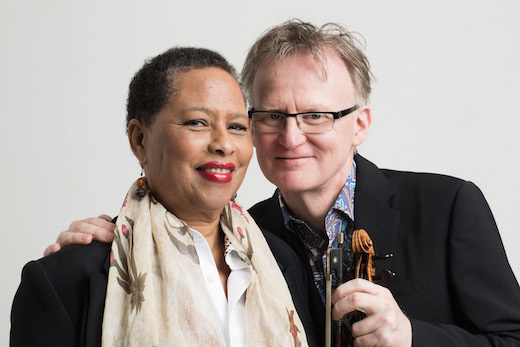 An annual music festival created in 2010 by composer and pianist Eleanor Alberga and the violinist Thomas Bowes. It takes place over a long weekend in early October in the Welsh Marches. Click here for an outline of the 2019 Festival. This was a concert of tremendous sweep and variety. Such was its distinction that I feel it cannot be long before the Arcadia Festival joins the long-established staples of the British music festival calendar. I await next year’s programme with great interest. "... the annual Arcadia festival is well on the way towards establishing itself as one of the major autumn music events in the lovely Welsh marches... applause at the end was huge ... and the impact of music and performance will live long here."